Cheese on sushi? We must be in Wisconsin! I’ve been on and off the sushi train a couple times — In college I ate sushi weekly with a group of friends, but I hadn’t had sushi in a couple years because of some unfortunate food poisoning. Luckily, my lunch at Takara 88 in Middleton with Michelle was the perfect transition back onto the sushi train. 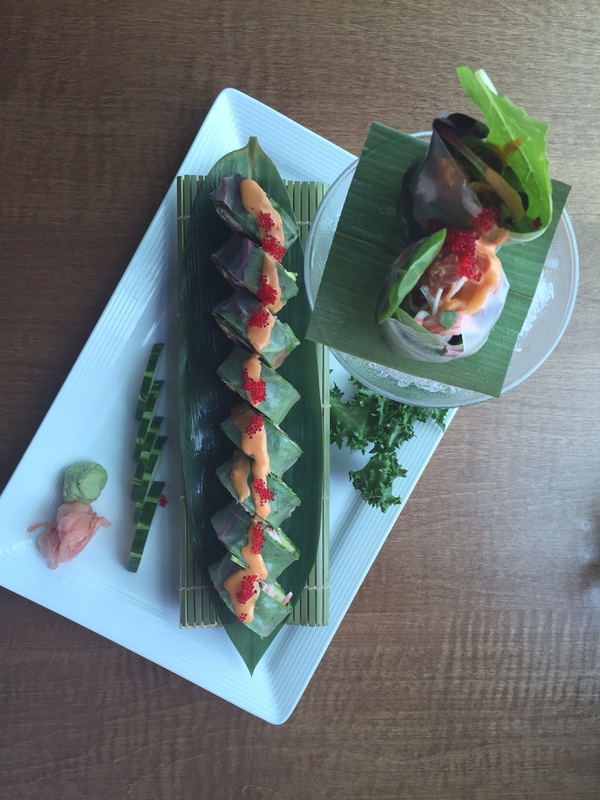 We started with the traditional sushi restaurant house salad with ginger dressing. I forgot how much I loved ginger dressing. 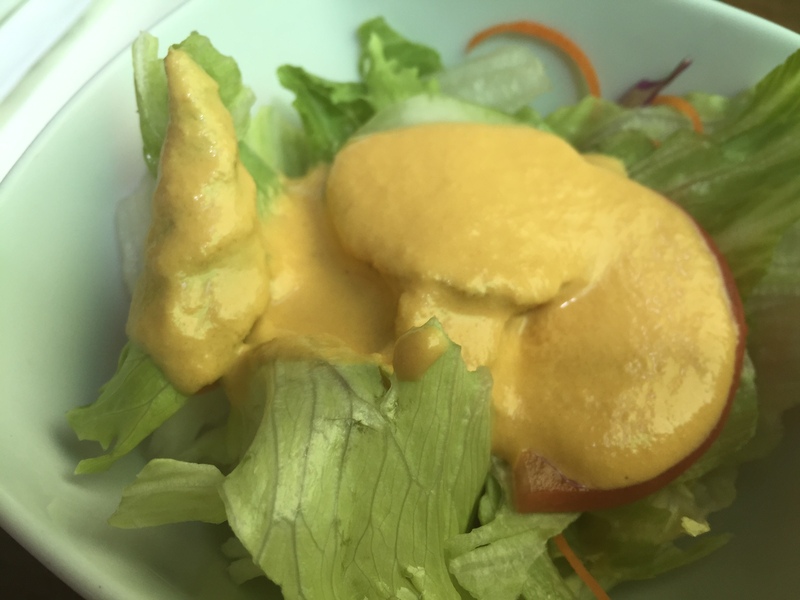 Each sushi restaurant has it’s own version of the orange dressing, and Takara 88’s was just as good as all of the other versions I’ve had. After the salad we tried their tempura with shrimp and bigs chunks of vegetables. 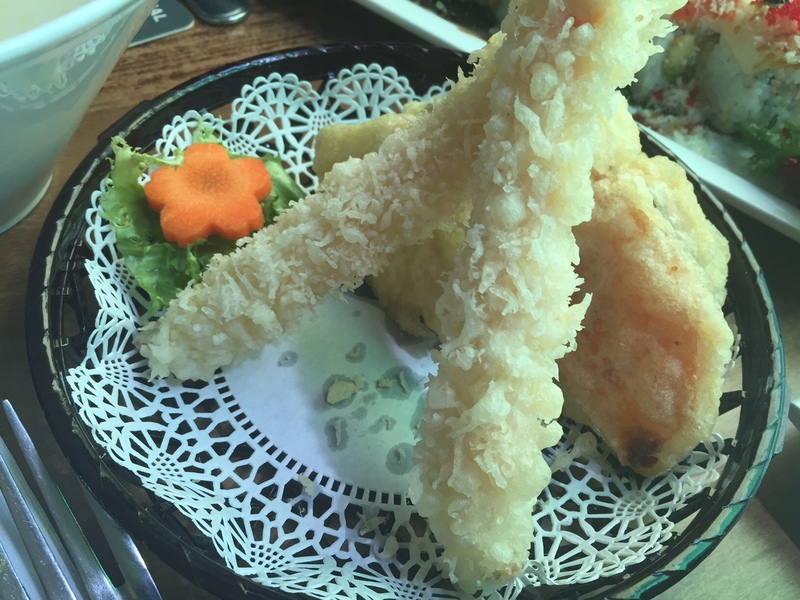 The shrimp and the vegetables were perfectly cooked and the tempura was light and crispy. Sometimes tempura can be heavy and greasy, but Takara 88’s wasn’t. Now on to the sushi. We got to try two of their special rolls and both of them were good, but I preferred the BMW roll. 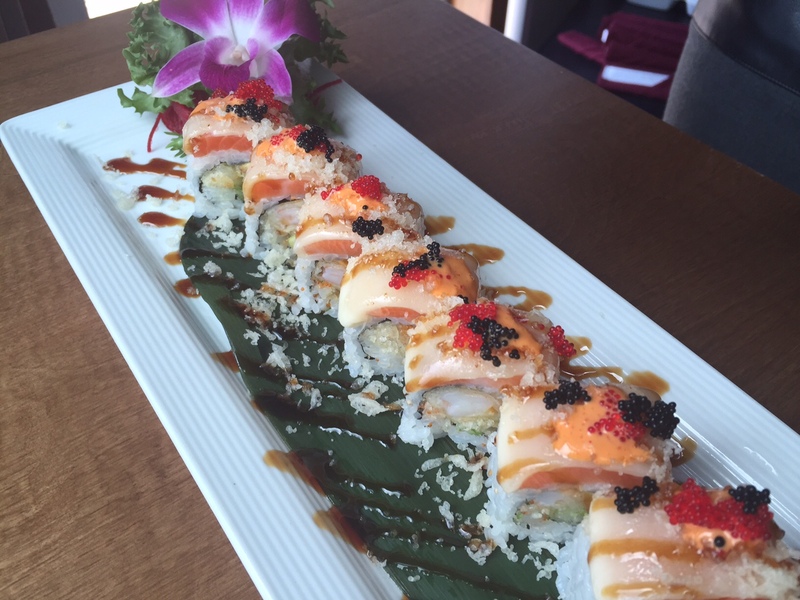 The BMW roll comes with tempura shrimp and avocado and is topped with seared salmon, cheese, caviar and a special sauce. This was the perfect roll to ease back onto the sushi train. The cooked shrimp and avocado went great with the seared salmon. 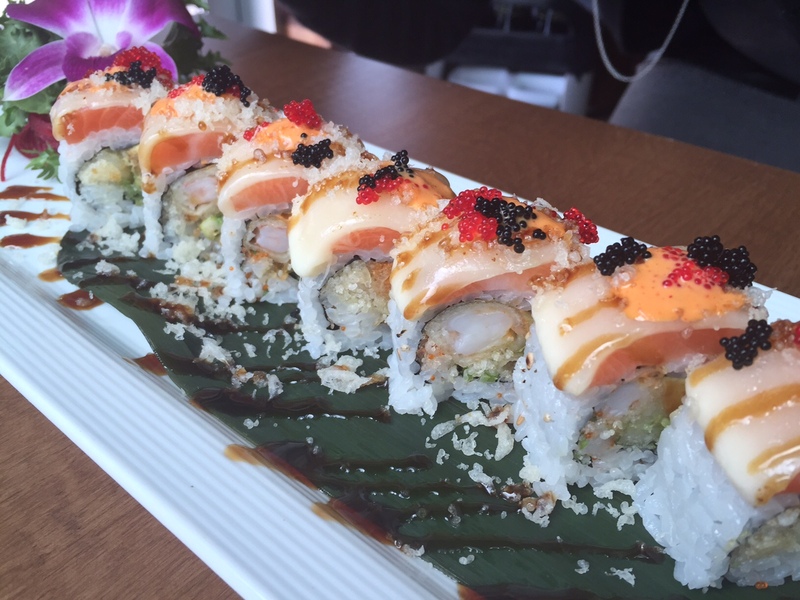 The BMW roll was my first introduction to sushi caviar. I could barely tell it was on the roll, but it did add a good salty flavor. The cheese is what made this roll a lot more interesting. I’ve never seen cheese on a sushi roll before, and I don’t think Michelle had either. 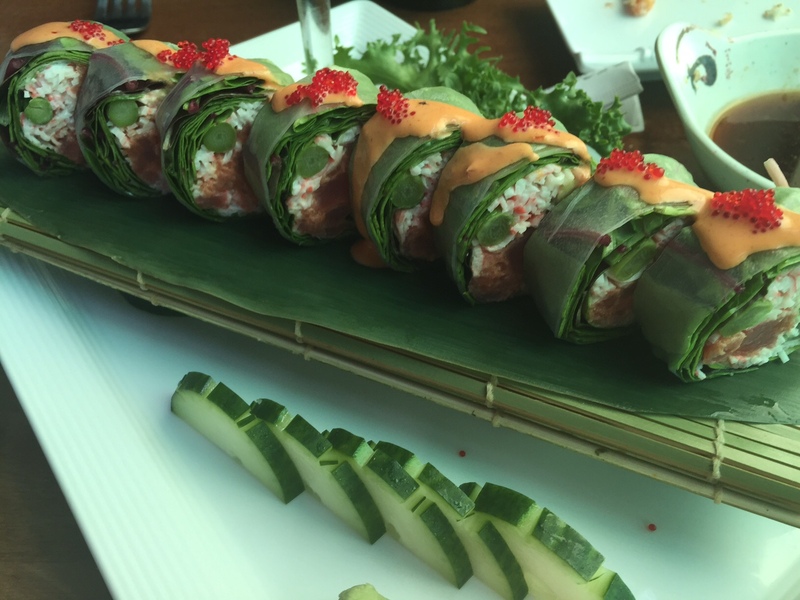 The ingredients in the BMW roll sounded like everything and the kitchen sink, but they ended up working really well together. 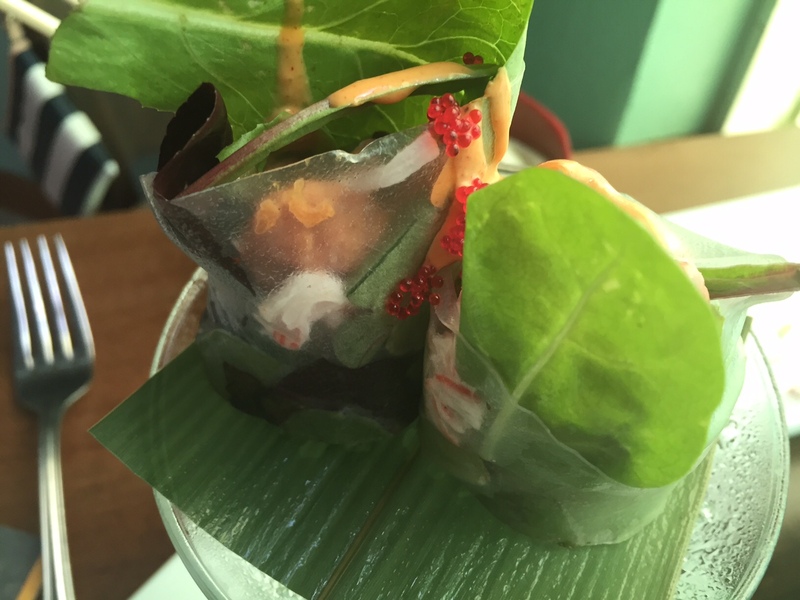 The second roll we tried was the “V” roll, which is spicy tuna and crab, lettuce, avocado and asparagus wrapped in rice paper and topped with a spicy sauce. 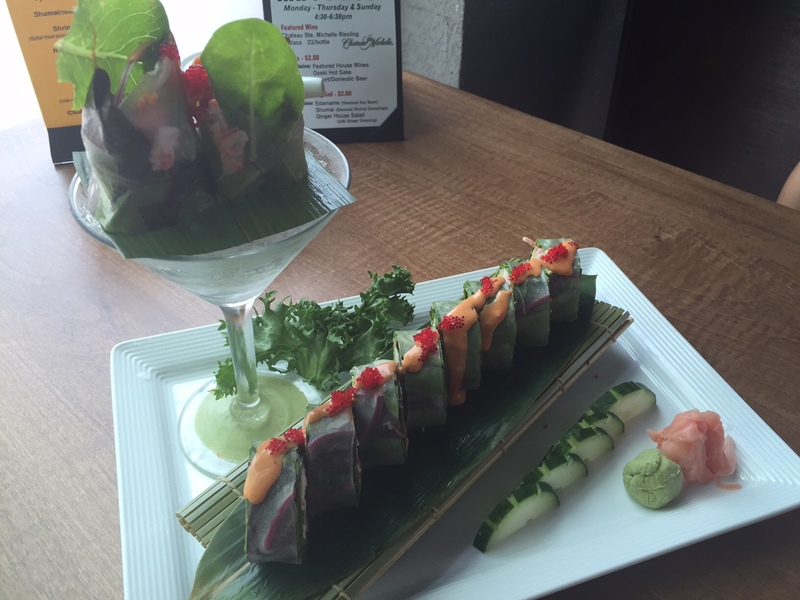 The presentation of the “V” roll was crazy pretty and used a martini glass. The “V” roll was good and the lettuce added a much-needed crunch. FOOD NOTES: Sushi will probably never be my first choice, but Takara 88 in Middleton has some great special sushi rolls. 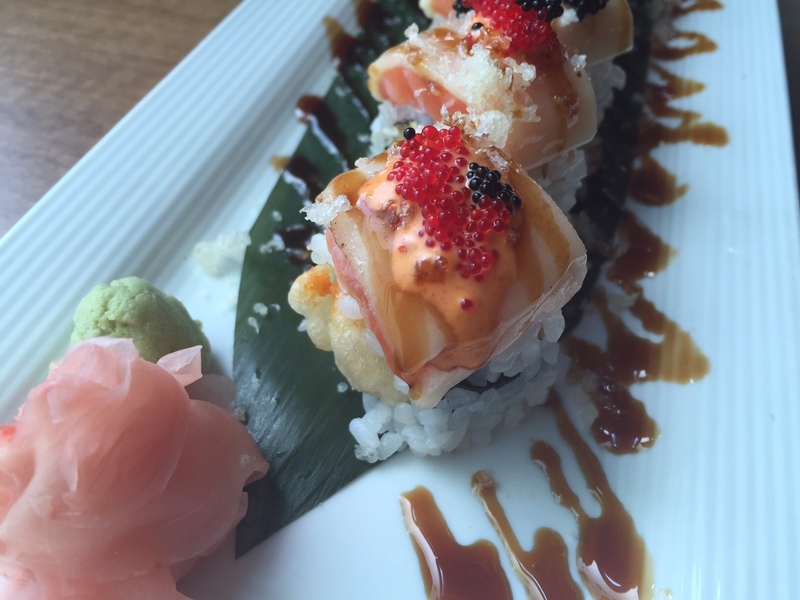 The tempura is a great substitute for sushi, but if you’re OK with raw fish, the BMW roll is the way to go.